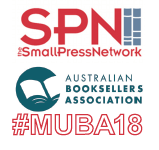 Small Press Network publishes a spotlight on ‘Living In Hope’ in the lead up to the announcement of the winner of #MUBA18 on 22 November 2018. The judges comment, “Told in simple but powerful language, the story is one that all Australians should read to understand the impact of the Stolen Generations on individual lives. Byrne writes: “I still have memories of my life at Christmas Creek before I was taken away.” He writes fondly about his time with his extended family in the Kimberley, hunting kangaroos with his stepfather, visiting his mother’s family at Fitzroy Crossing and hiding in a cave during World War 2. But then he was taken from his parents and left to fend for himself. It is heartbreaking to read his words: “I was only six years old and had to survive the best way I could.”” To read more, click here.